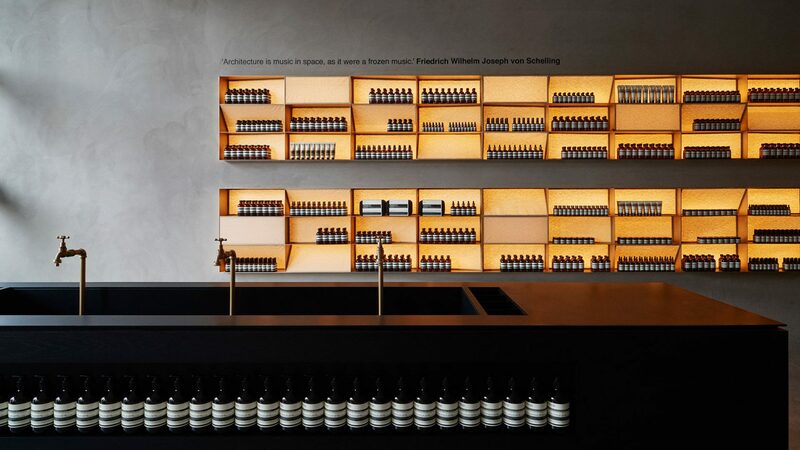 Minimalist packaging, no advertising, but nevertheless highly recognizable: the Australian cosmetics brand Aesop has opened more than 100 shops in cities like Kuala Lumpur, Kyoto, Cologne, Melbourne, Macau and Milan. Each store has been designed by a different architect or design studio. The concept: total emersion in the atmosphere of each respective location. In the Aesop store in Singapore countless coir (coconut) fibers hang down from the ceiling. Staff also use the thin strings to gift wrap people’s purchases. In fact, an impressive 30 kilometers of coir has been suspended from the ceiling by the March design studio. The ensemble looks like a meadow of dried grass turned upside down and creates a unique effect: The slightest amount of airflow sets the cords in motion. 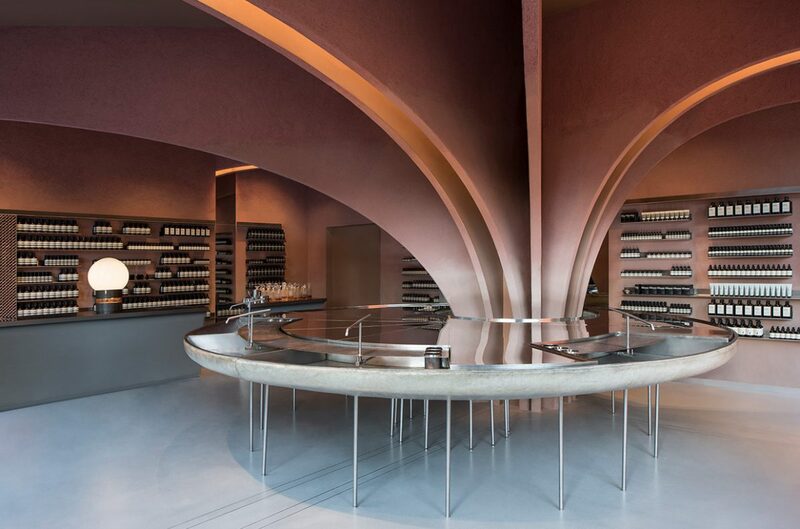 In the Aesop branch located in the Paris neighborhood of Le Marais, architecture firm Ciguë 427 has made use of the steel caps that normally seal the sewer pipes in the French capital. 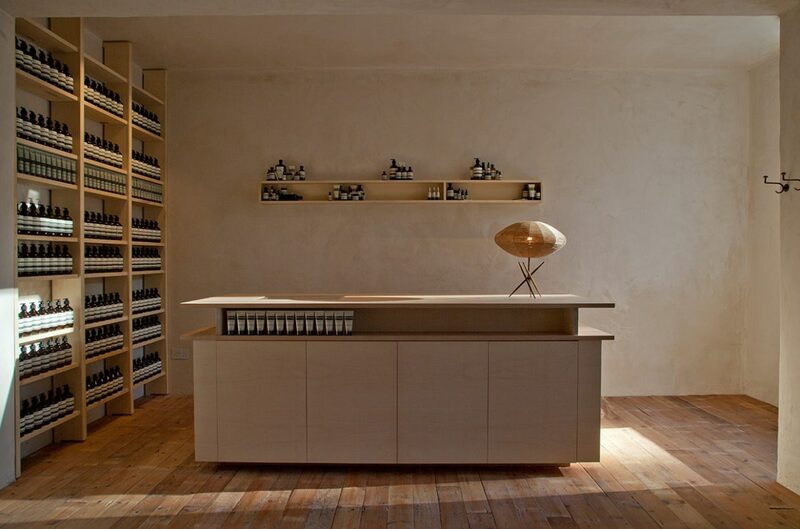 Blackened or polished, they now adorn the walls of the store and function as shelving units for the beauty products. The larger ones are used as sinks. 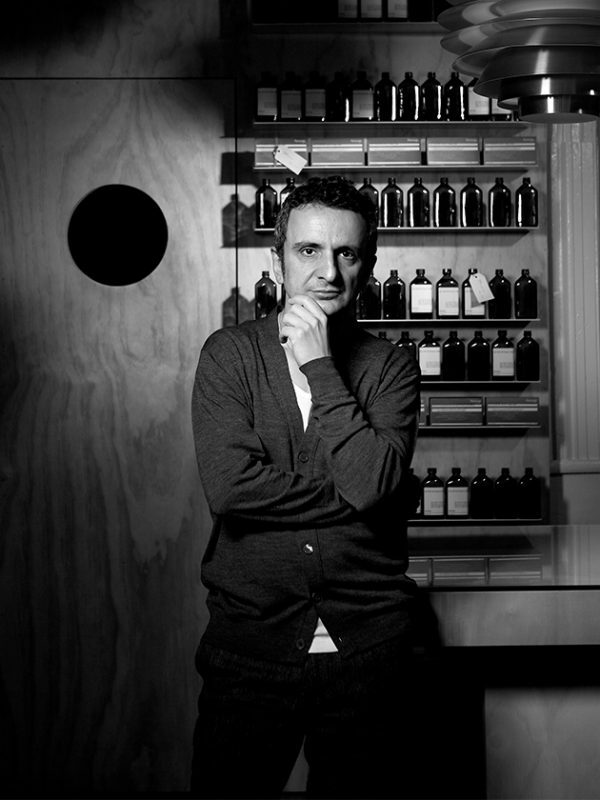 In New York City on the other hand, architect Jeremy Barbour created a store near the Bowery that is as sustainable as it is ingenious. Old editions of the New York Times form the walls and sales counters – a reference to the written word and to the special qualities recycled paper brings to architecture. You could carry on describing the witty, creatively designed stores ad infinitum. So far, the Australian beauty product brand has designed more than 100 locations in Australia, Asia, Europe and the United States and plans to add approximately 40 further locations every year. As is the case with every global corporation, there is a recognition factor, which is, however, mostly limited to the packaging of the hair and body care products. 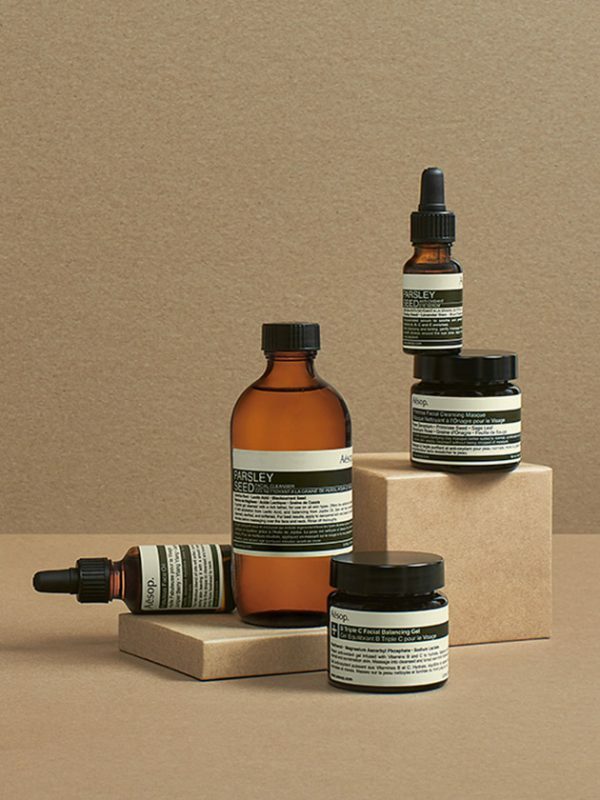 The brown bottles, small dropper bottles and glass jars boast an old-school apothecary look. Their color is designed to protect the contents from the light. There are also minimalist tubes in creamy-white, muted orange, pale blue and earthy green hues. The black-and-white labels are skillfully designed and feature quotes by Marcel Proust (“The features on our faces are hardly more than gestures which have become permanent”); Salvador Pániker (“Better than a facelift, to stay young we need to be permanently in a state of intellectual curiosity”); and Joseph Joubert (“Genius begins great works; labor alone finishes them”). These philosophical maxims are a nod to the label’s namesake, the Greek poet Aesop, who is thought to have lived in the 6th century BCE.